Every year, on this day, I post or share this excerpt. I don’t know what it is about 9/11, perhaps the fact that I was actually alive for such a huge historic event, but I can’t get enough footage of it. I need to know everything about it. I want to hear all the stories. So much so, I created my own, embedded in the backstory of one of my main characters. Grayson Cross of my Halo series. (Due out in 2017). I wanted to write a story about that day, and I wanted it to be historically accurate. So I spent two weeks researching and studying and drinking in all the articles and news footage and documentaries I could find just to write one chapter. But it was important to me. And I hope it makes you feel something. Anger, sadness, compassion. Something. He’d been fourteen then. An irresponsible, miserable teenage boy who’d lost his mother and had no knowledge on the whereabouts of his father. Chief Joe Mancuso was all he had, a man Gray always admired and looked up to. Joe was never particularly good at discipline or laying down rules. He let Gray make his own decisions and mistakes—said it would help shape him as a man. Joe was the bravest man Gray knew, always the first one in to a burning building and the last one out. He had saved countless lives. He saw it as his duty and was nothing but humble when family members thanked him for rescuing their loved ones. The morning of 9/11 was like any other. Joe was on duty at the firehouse so Gray was left alone in their tiny, efficiency apartment that cost more than a large house in Texas. Gray didn’t mind it, though. He was happy to sleep on the couch as long as he had somewhere to sleep. That morning he had contemplated skipping school, but remembered he had a test in his History class, so he reluctantly climbed off the squeaking couch and walked the four blocks to school. Five minutes after the first bell, he made it to class just as the teacher was beginning to pass out the exams. “Nice of you to join us, Mr. Cross,” the teacher, Coach Sims, had said in a wry tone. “No problem,” Gray had answered, eliciting a chorus of giggles from the group of freshman girls in the seats behind him. Gray hadn’t studied for the test, but still managed to pull out a B. History was a strength of his. Plus, it was multiple choice. He probably could have passed the thing without ever having looked at the material simply by process of elimination. After the test, Coach Sims plopped a pile of worksheets on everyone’s desk and told them to get to work. Not much teaching involved in that class. Gray hated worksheets and rarely completed them. He could remember the information well enough without having to fill in the blanks on a piece of paper. So he cupped his hands over his eyes to make it look like he was studying the book intently when really he was attempting to catch another thirty minutes of sleep. Just as his head began to feel heavy and his eyes were sliding shut, a massive sonic boom—or, at least, that’s what it sounded like—echoed throughout the classroom. Gray’s eyes shot open and he looked around at the other startled faces. “That didn’t sound like a jet,” the boy next to Gray whispered nervously. Gray craned his neck as Coach Sims pointed the remote at the classroom television and tuned the channel to CNN. A horrifying picture filled the screen of the North Tower with a gaping hole near the top. Smoke billowed out and malevolent flames licked the air. “My mom works there!” one of the girls in his class sobbed, her shaking hands covering her gaping mouth. One of the news reporters on the television was saying a small aircraft had accidentally crashed into the tower. A small aircraft? Gray thought. That hole is way too large to be a small aircraft. Sure enough an eyewitness began telling the news reporter the plane looked more like a twin-engine passenger jet. Gray’s school was within walking distance of the World Trade Center, so the entirety of his class rushed to the windows, pulling the blinds open, and peered out, trying to catch a glimpse of the Twin Towers. The towers themselves were not visible, but clouds of smoke could be seen pumping into the air in the distance. Fire engine horns blared as they passed by and Gray’s thoughts went to his uncle. He was on duty. He would be there. Suddenly a nervous worry clenched his stomach and he listened more closely to the news as he watched the smoke fill the sky. Time seemed to simultaneously stop and speed up. Gray glanced back at the clock on the wall. Three minutes passed as quick as seconds ticking by and then came another loud explosion followed by an enormous fireball blossoming in the smoky sky. Almost in unison, the class turned to look at the television and saw what Gray feared. The second tower had been hit. And it was clearly not an accident. “It’s a terrorist attack!” a girl screamed. And Gray bolted out the door. “Get back here, Grayson!” Coach Sims called down the hall, but Gray was already sprinting to the exit. His uncle was in the thick of a terrorist attack. He couldn’t just sit in a classroom and watch as it unfolded on a television. Two blocks away. One block away. Legs pumping, heart racing, he sprinted through crowds of people running away from the burning towers as he ran towards them. Papers, ash, and pieces of the buildings fell from the sky like deadly flakes of snow. The air smelled of smoldering metal and burning paper, and something else. He shuddered to think of what that something else could be. Many people fled in fear, but just as many stood transfixed, staring up at the two burning skyscrapers. A cacophony of noise blared in Gray’s ears. People sobbing. People screaming. Sirens. Policemen and firemen calling out orders. Periodic explosions from above. Debris raining down on the ground. As he neared the buildings, he was blocked by a policeman telling him to stay back. “I’m sorry, son, it’s too dangerous,” the policeman said. Gray moved away from him, his eyes constantly being pulled to the terrible sight above. He wondered if his uncle was already in there. Already thirty, forty, fifty stories up. He may have been the chief, but he would have wanted to help the people. As many as he could. He wouldn’t be at the command center. And, as he thought this, Gray noticed large objects falling every few minutes from the top stories of the towers. He squinted his eyes to see what they could be. Were the people throwing desks out of the windows? Chairs? But desks and chairs wouldn’t move and twist in such a way as they fell. Then understanding washed over him. People falling. No…worse. They were jumping. He tried to imagine how horrible things could be up there for so many people to choose to jump. How utterly hopeless it must have felt for them. And he momentarily forgot about his uncle while he watched as, one by one, another life was extinguished. “God, help them,” he whispered. He couldn’t recall how long he stood there with the other souls who couldn’t pull themselves away. He watched the base of each tower for any sign of his uncle. Several firemen he recognized came out of the first tower and moved to the second, but none from his uncle’s battalion. They remained in the first tower. Gray’s eyes moved from one tower to the other, trying to ignore the bodies that continued to fall from the upper levels. Then something on the second tower caught his attention. The place where the plane hit was bending outward, nearly buckling. Glass began shattering out from the area and Gray was just realizing what was about to happen when a deafening roar erupted before him. The second tower was collapsing. It crashed straight down like a burning ship sinking into an ocean of cement with waves of debris splashing up into the air. It was the wave of debris that sent him sprinting in the opposite direction. After a few seconds he realized he wouldn’t be able to outrun the impending cloud of dust. He came upon a pickup truck sitting empty against the curb, its front door resting open. Gray leapt into the truck and slammed the door shut just as the dust cloud passed over him. Ash rained down on the windows of the pickup until Gray could no longer see out of them. The smell coming in through the vents was indescribable. It burned his nose and throat and pricked his eyes. It took several minutes for the dust to settle enough for Gray to see anything more than dark shapes. It took the same amount of time for his heart to not feel like it was trying to escape from his chest. He cracked the door of the truck and peered out. What was once a crowded street was now a gray wasteland. A few dust-covered people remained, coughing and retching on the street from inhaling the toxic ash. The North Tower still burned, pumping black smoke into the sky to accompany the white cloud of debris. Gray bent down and ran his fingers over the ashy ground, wondering what these particles were before. Glass from a window? Part of the floor? A picture of someone’s family? Or…someone. He hastily wiped the ash off on his pants, shuddering. Strange that the second tower collapsed first, he thought. Though it was hit lower and had more weight to bring it down. The first one shouldn’t be far behind. Then his stomach sank at this thought. There weren’t as many policemen blocking his way this time and he was able to slip past one who was rinsing his mouth out with water and spitting it on the sidewalk. Gray almost ran into the first tower, but thought better of it. There was still large amounts of debris falling. Bodies still falling. And firemen were already beginning to pour out of the building. Some looked badly injured from the other tower’s collapse. He recognized a man his uncle called “Father Judge” being carried out by several firefighters. Gray watched as they laid his still body in front of Trinity Church before he tore his eyes away to watch for his uncle. One by one, firemen from his uncle’s battalion trickled out of the building and onto the streets. Luka, his uncle’s close friend, came within earshot of him and Gray had to call out his name several times before the fireman turned his ash-covered head to look in Gray’s direction. “I’m not going back to the firehouse!” Gray exclaimed. With that Luka turned and trudged back towards a group of firemen. Then Gray saw him. His Uncle Joe. Carrying a bleeding woman on his back. Paramedics soon relieved him of the woman and took over. Joe was given a water bottle by another fireman who was yelling in his ear and pointing towards the collapsed tower. Joe shook his head, looking angry. And Gray knew then what Joe wanted to do. “Gray?” Joe said in surprise. “Then I better hurry,” Joe said. “I don’t wanna hear it, Gray. There are still people up there. I’m goin’ back up,” Joe said, turning back to the remaining tower. “If you go back in there, you’ll die,” Gray shouted angrily. “Then I will die knowing I did everything I could,” Joe yelled over his shoulder. “There’s nothing else you can do!” Gray called desperately. But Joe was already in the building. A couple of firemen watched Joe go back in with grave expressions and Gray knew they were thinking the same things he was. They were not good things. And it was only a minute—maybe two—before the first tower began to fall around them. Gray ran, but he was too stunned to get far. Something crashed into him and he was pulled by invisible hands under a nearby fire engine. The cloud of ash quickly filled his lungs and he was sure he was going to die there, suffocating on the clotted air. The last thing he saw before he passed out were hundreds—perhaps thousands—of colorful, pulsating orbs of light circling around the air where the buildings had once been. They were breathtaking. Some were colors he could neither name nor recognize. To this day, Gray still didn’t know what it was that made him hallucinate like he did. Perhaps the lack of oxygen or the chemicals in the ash. Or maybe his mind was trying to conjure up a pleasant image with which to leave him when it thought he was dying. The next thing he remembered was water being poured in his mouth and over his face. Slowly, he sat up and looked around. He was laid out on the sidewalk in a layer of dust. The others around him sounded like they were coughing up their lungs, but his felt fine. He was breathing normally. Though he did have dust in about every exposed orifice. Luka was there. He handed him another bottle of water and Gray rinsed out his mouth for the second time before pouring the rest over his head, the soot turning to mud in his hair. It took a few gallons to get the stuff out of his ears, nose, and eyes. The area that was once the twin towers was now a pile of molten metal, ash, and pieces of the building jutting out of the ground. He imagined that was what the entryway to hell looked like. Compared to the earlier noise that had assaulted Gray, the silence was even more unsettling. He wanted to yell or shout something. Or sob. But he couldn’t. He could barely move, much less speak. Not from pain or injury, but from shock. Luka made Gray come back to the firehouse to wait for the other firemen from their battalion. Through a haze of numbness, he washed the muck out of his hair as they waited for the others to return. One by one, the men returned looking downcast and, at the same time, relieved. Some were bleeding. Others were crying. Some had a dead look in their eyes as if they had completely shut their brains off to avoid further mental damage. As they trickled in, they were engulfed in hugs and pats on the back. No one had been sure of how many of their people made it out. By afternoon, everyone was accounted for except for three: the youngest guy in the firehouse named Tyler, Luka’s brother, Larry, and Gray’s uncle, Joe. The televisions in the station were tuned on, replaying the day’s events. Over and over and over again. Some of the guys recounted their experiences and disbelief of what happened. Others sat in silence or called their families. Gray had no one to call. His last bit of family was either dead or trapped in the rubble of the towers. “What do we do now?” one of the men asked, sounding helpless. “I say we go back and help search,” Luka said. “Three of our guys could still be out there.” Gray could tell he was having difficulty keeping his voice steady. His brother had still not returned. “But they told us to—” the other man began. Seven from their battalion left the firehouse, the rest stayed behind in case any of the three returned. The battalion’s fire engine had been buried in the collapse so they had to take Luka’s pickup. No one said anything when Gray climbed into the bed of the truck with the others. The pile that was once the twin towers was overwhelmingly vast. And dangerous. One wrong step and Gray could fall into a thirty-foot chasm. Hours passed and night fell. A blackout occurred, plunging them even further into darkness. Flashlights were passed around and generators were brought to the site so the rescue teams could continue searching. At around 8:30pm, someone turned a car radio on. President Bush was addressing the nation. Gray missed most of what was said. It was a speech to empower the country. To reassure them retaliation would occur. Frankly, in that moment, Gray didn’t care. He just wanted him to stop talking so they could continue to search for his uncle. Around midnight, Luka decided to go back to the firehouse to shower, eat, and sleep a bit so they would be rested the next morning when they’d continue their search. Gray showered and ate mechanically, but sleep evaded him. He lay awake for hours in the bed where his uncle had slept, replaying the day’s events over and over as the news stations had earlier that day. The firehouse was up and ready just after sunrise. School was cancelled that day. Not that Gray would have gone anyway. Luka let Gray ride down to the site in his truck again. The mound of ash and debris was referred to as “the pile” by the firefighters. When their men arrived, they began forming companies of five firemen and one officer. They helped clear out the debris with buckets and listened and looked for any signs of life beneath the rubble. Every so often someone would yell for quiet and everyone would stop working. Stop talking. They just listened and waited for someone to be pulled out of the pile, alive. Each time this happened Gray’s heart would nearly stop as he waited. Hoping they had found him. That they found his uncle. But, more often than not, it would be a false alarm and everyone would slowly start back to work. There were no whole objects. No desks. No chairs. No pieces of office equipment. Just dust. There were occasional solitary body parts that forced Gray to temporarily halt his digging and take a few deep, calming breaths. They spent the day just digging. Then the ironworkers would remove the steel beams and everyone would go back to digging. Several times people shouted that a building was going to collapse and everybody would run away. When things were considered stable they would trudge back and dig some more. That first day they uncovered several bodies, or parts of bodies. One person was pulled out alive. Luka, Gray, and a few others came back the next day. Technically their battalion was off, but they still had three guys missing. Luka wanted to find his brother. Gray wanted to find his uncle. And find him they did…. Gray ran over to the spot and froze. It was his Uncle Joe. His uniform had been burned off of him, but one of his boots still remained. Gray had heard many people describe dead bodies as appearing to be asleep. Joe did not look like he was sleeping. He looked dead. Rigamortis had set in, his body was beginning to bloat, and dried blood covered his head. They found him under part of what used to be a staircase. The medical examiner said he had been alive when the towers collapsed. That he had likely died from lack of oxygen due to being trapped beneath the rubble. He had been alive. But they had been too late. If only Gray would have looked in the right place. Gray watched as they zipped his uncle into a body bag and covered him in an American flag. Luka clenched his shoulder tightly. They never did find the body of Luka’s brother or the young fireman named Tyler. After Joe’s body was uncovered, Luka told Gray to go back to the firehouse. When he arrived there, the others had already heard the news. They wrapped him in hugs, some sobbed on his shoulder. From that day on, the firemen were his family, the firehouse his home. 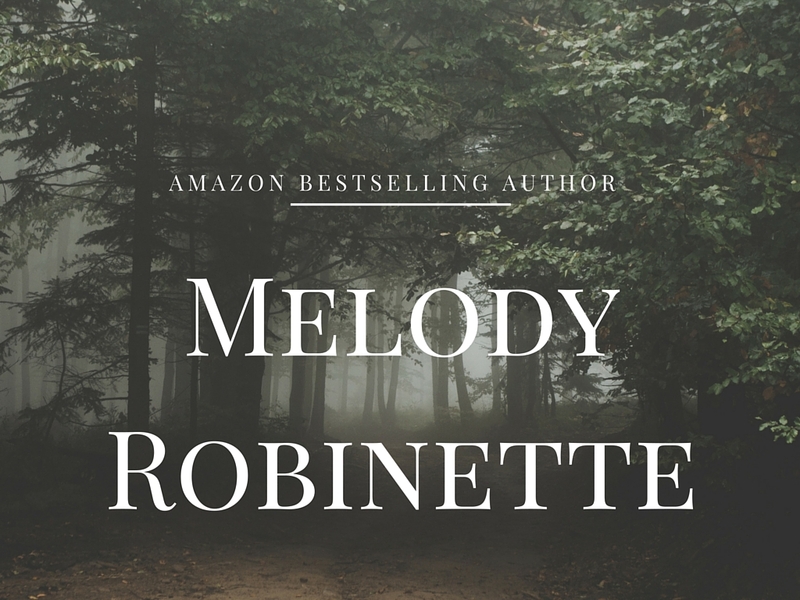 This entry was posted in Writing-related and tagged 9/11, book, history, reader, september 11th, story, tragedy, write, writer on September 11, 2016 by Melody Robinette, Author.